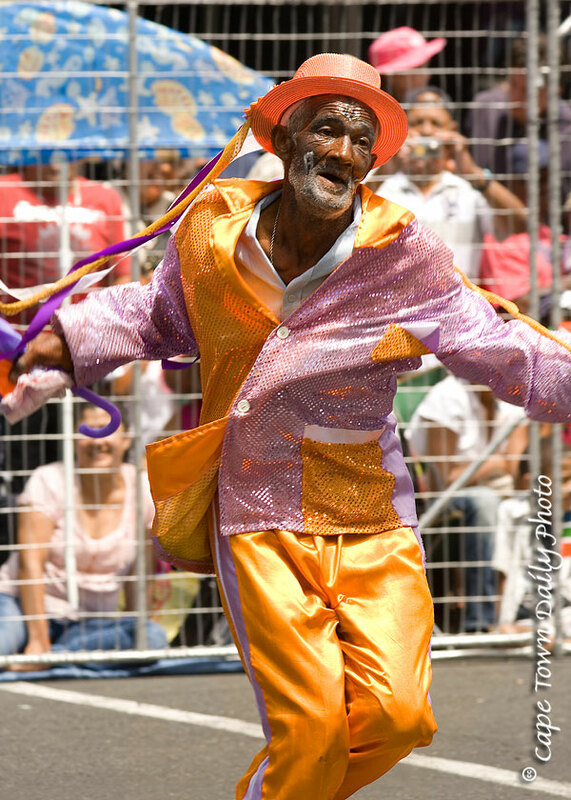 Each year on the second of January the Cape Minstrels put on a parade through the streets of Cape Town, as part of their annual competition. Dressed in colourful outfits, participants of all ages dance through the streets, playing musical instruments and singing with great bucketloads of enthusiasm. This year saw the centenary of the parade, and almost any Capetonian's childhood memories will include the Kaapse Klopse, as they are known in Afrikaans. My mother was telling me that she recalls how, in earlier years, the minstrels used to parade through suburban streets, singing Christmas carols and ushering in the New Year. Posted in General on Thursday, 3 January, 2008 by Kerry-Anne.